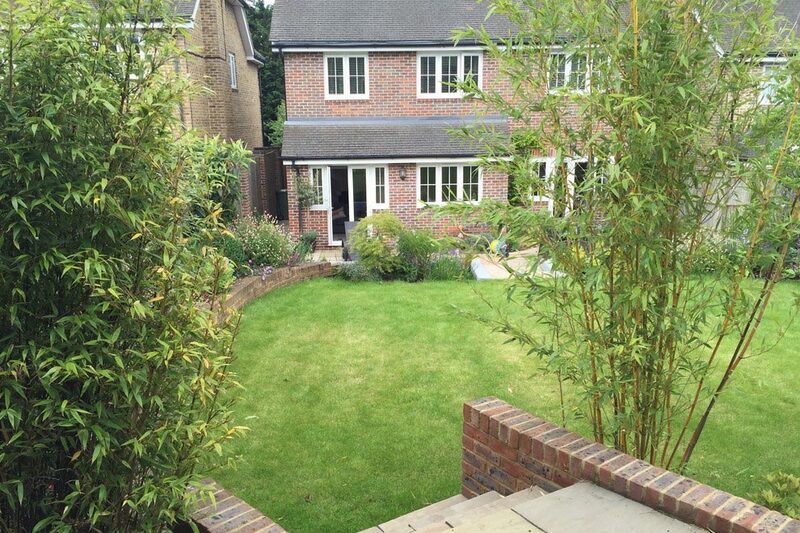 The brief for this garden was to work with some existing brick walls at the rear but to update the space, reshape it and make the garden more contemporary. 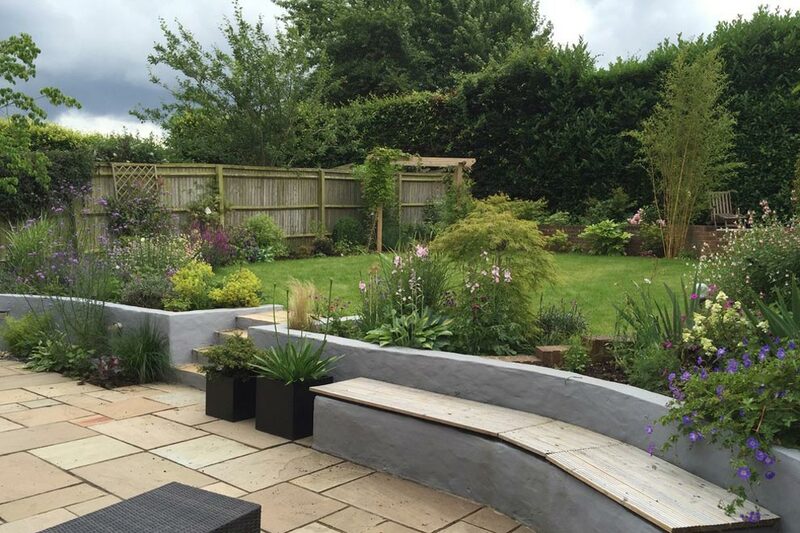 A new patio was laid and a water blade inserted into the wall which was then rendered and painted. 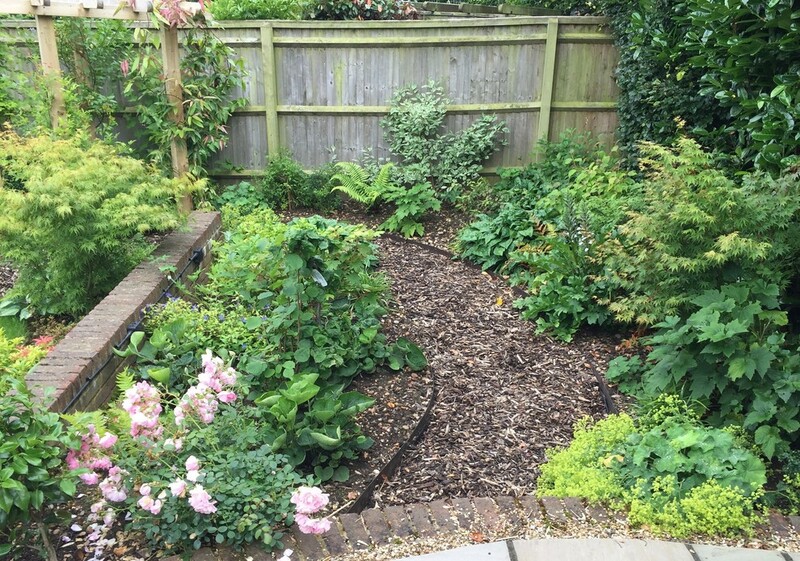 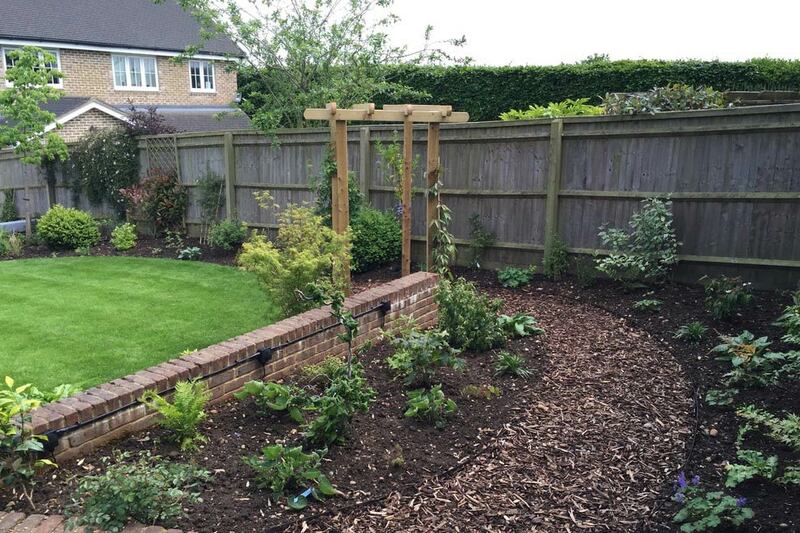 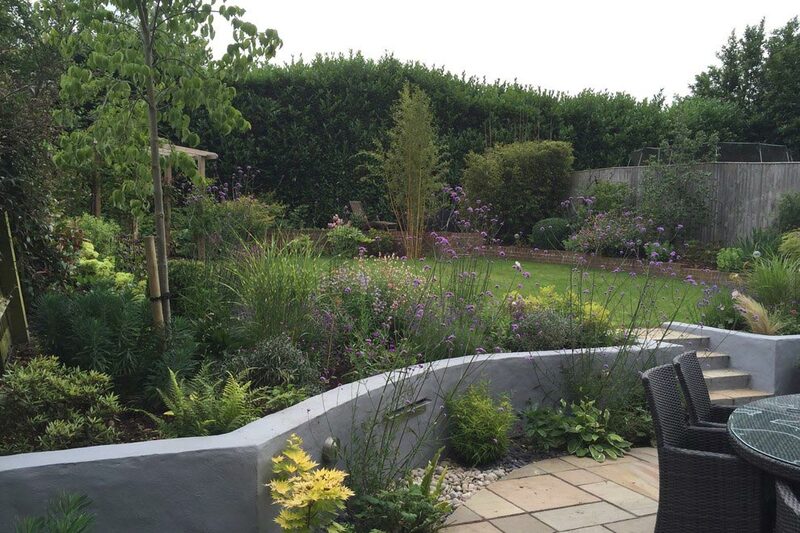 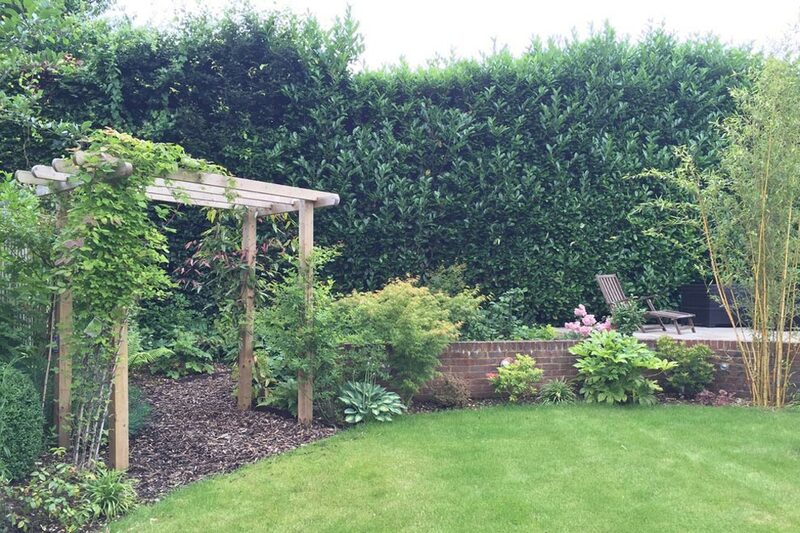 The garden was replanted, adding a pergola arch and a barked path around the back of the existing wall.